Pinara Pansiyon offers simply decorated accommodation with free Wi-Fi. 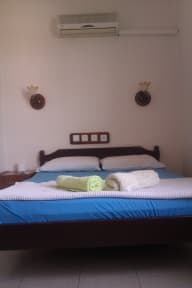 The Guest House in Fethiye, comprises of 12 rooms and can accommodate 26 people. 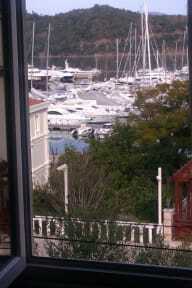 From the terrace of this cozy property you can admire the admirable view of the Mediterranean. The reception is open 24 hours a day. The tour desk staff can help arrange tours to boat tours and ancient Telmessos ruins. We are the close to the main Port and City Centre (few minutes walk). Located 50 meters to sea, so some rooms have direct sea view. The Dalaman Airport is 55 km away. Our rooms all newly renovated, nice, clean and quiet. All rooms have private bathroom / shower, Hot water, Breakfast is included in all rates, and all rooms have Air Conditioning, TV and free WiFi.